Something very exciting is happening at the beginning of May and we just had to share. Our sister company, ZooHood, are sponsoring some very adventurous “old biddies” who are embarking on their final challenge to raise money for two leading children’s cancer charities. 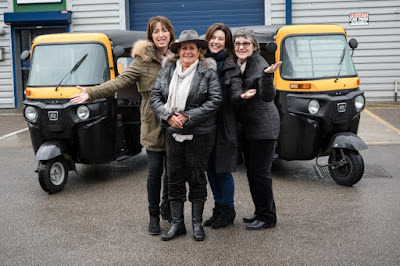 The Beijing biddies, named after their first challenge, driving from the UK to the Chinese Capital, will drive two Tuk Tuks around the UK over 1100 miles. The 16 day round trip will start and finish in Carlisle, with stop-offs in Edinburgh, Newcastle, Harrogate, Cambridge, London, Merthyr Tydfil and Manchester. The team will stick to A and B roads, however, team leader, Edwina knows that the Tuk Tuks are difficult to drive and with average speeds of just 20 miles an hour, they will need to stick to strict timetables to complete the challenge on time. The team will consist of Edwina Sorkin, the team leader and instigator of the first Beijing Biddies challenge, Kate Sleath, another original Beijing Biddy, Helen Stobart and Liz Tinkler. The ladies will take it in turns to drive the two Tuk Tuks around the UK. It’s almost three years since Edwina and Kate started their first adventure driving from the UK to the Chinese capital of Beijing in 29 days. The Beijing biddies were born and the adventurous friends got the fund-raising bug. Last year they were joined by Helen and Liz and they completed another challenge driving non-stop from Carlisle to the Arctic Circle in just 4 days. To add a little fun to the challenge, the team will be wearing Tiger Onesies from ZooHood. The orange tiger was the onesie of choice as its bright and will certainly help them stand out on their jungle themed adventure. The ladies will be calling in at cancer centres across the countries so we hope that the Tigers will brighten up the children’s day. The team will be followed along the way by 6 students who will take videos, photos and will keep followers updated on social media. Look out for the ZooHood onesies as they are guaranteed to cause a storm. 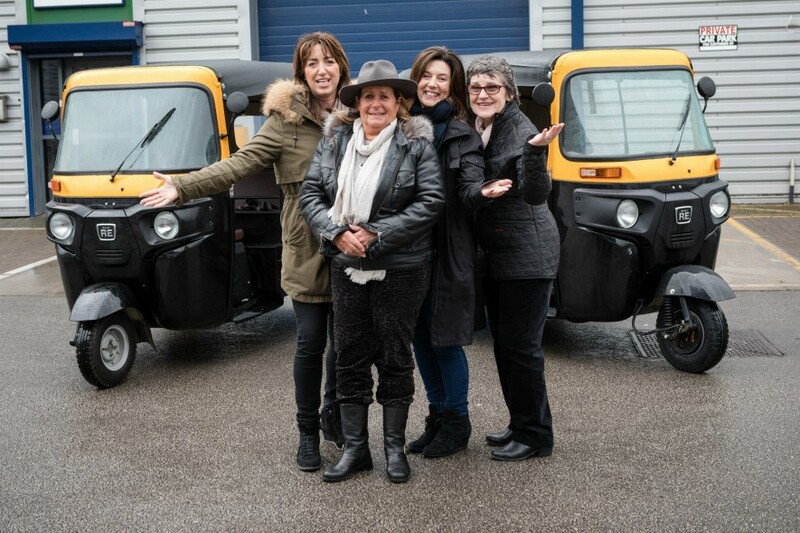 To date the ladies have raised £80,000 for Cancer Research UK and Macmillan Cancer Support and they are hoping that the Tuk Tuk challenge will help them reach their target of £100,000. If you are impressed by the ladies, then check out their route, wave them on as they pass through your city and don’t forget to donate anything that you can. Good luck ladies. We will be waiting in London for you.